The onset of heavy rain, snow and ice this week has kept our Security and Maintenance teams at the Cathedral busy trying to keep the grounds safe for pedestrians and the Cathedral free from leaks and flooding. The building does look very different against a backdrop of snow and its great to see some of the students and children enjoying the rare and brief opportunities of playing in the snow around the Cathedral while it lasts. Years ago when we had Filipino priests living at the Cathedral one of them, Fr Jose, upon seeing snow for the first time, promptly spent all day outside making a snowman in the garden. Fr Larry was less creative he just went out and rolled in it! Sorry I suppose I am meant to refer to ‘snowperson’ these days. This Sunday afternoon Archbishop Malcolm will officially inaugurate our Diocesan Synod 2020 at a service at the Cathedral at 3.00pm. The service, which is not Mass, will focus on the Gospel for the Feast of the Presentation (celebrated on Saturday 2nd February) and the words of Simeon calling us all to be a light to the gentiles. “All 500 members of the Synod will be present to make a profession of faith and hear the Archbishop send them out to undertake their tasks of listening, discerning and learning to help us to become the church that God is calling us to be. The members will need the prayers, support and encouragement of all in the Diocese.” There will be a similar service at the same time on the Isle of Man led by Bishop Tom Williams. The coordinators of the Synod have extended a general invitation for all in the Diocese to come along to the service this afternoon. They have also asked that for those who cannot be there if they could set aside some time in prayer this Sunday afternoon or evening to support this journey of new beginnings within the Diocese. We are all also encouraged to use the Synod online questionnaire. This will make it possible to listen to a wide variety of voices who would want to have a say and contribute their opinions to the process. 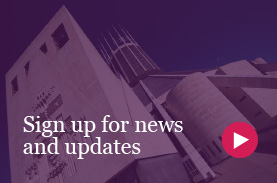 There will be parish gatherings taking place between May and July but the facility online will offer a chance for those who may not be able to attend those gatherings to take part in the process. 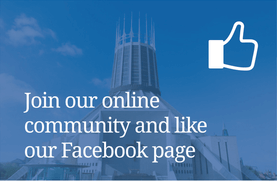 The questionnaire can be accessed via the Synod website on www.synod2020.co.uk. Even though the Feast of the Presentation was yesterday the introduction to the procession on that day is a constant reminder of the purpose of our faith and attendance at Mass. Forty days have passed since we celebrated the joyful feast of the Nativity of the Lord. Today is the blessed day when Jesus was presented in the Temple by Mary and Joseph. Outwardly he was fulfilling the Law, but in reality he was coming to meet his believing people. Prompted by the Holy Spirit, Simeon and Anna came to the Temple. Enlightened by the same Spirit, they recognised the Lord and confessed him with exultation. So let us also, gathered together by the Holy Spirit, proceed to the house of God to encounter Christ. There we shall find him and recognise him in the breaking of the bread, until he comes again, revealed in glory.